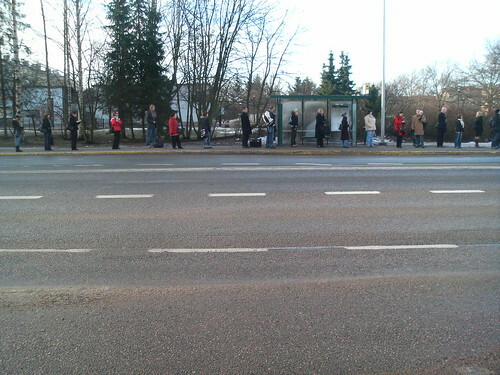 This morning I could not help taking this picture of the bus stop opposite from the one that I take every morning. Every once in a while, I see a few people standing while looking in the same direction but have never come across such a neat formation. 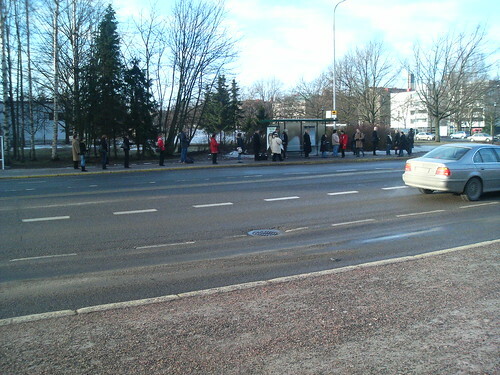 This one was just most natural to them obviously and people fell into this line as they converged into the bus stop from both sides.